Sunday's embarrassing FA Cup exit to Sky Bet League 1 strugglers Shrewsbury led to reports that his days at the Bluebirds helm were numbered. The pressure on Slade will have only increased after City's meek display at promotion-chasing Hull, where the hosts' dominance was not represented by the 2-0 scoreline. Fan polls before the match showed many Cardiff fans want a new manager, but the current incumbent was in boisterous mood after Wednesday's loss at the KC Stadium. "We know what we've got to do," Slade said. "It's time to roll our sleeves up and get it done. "Course I am (confident of getting into the play-offs). I believe in what I'm doing. "I've done 750 games with a win ratio of around 39 per cent so it doesn't mean I'm a mug. "It means I'm capable and I still feel I'm capable of getting this team in the top six." Slade says City fans "should never run out of hope and belief" but accepts the loss at Hull was another very frustrating performance by his side. The Cardiff boss now wants to bounce back at Wolves this weekend and clearly believes he will still be in the job for that game. Asked about reports he was on the brink of losing his job, Slade said: "I don't know where all that kind of information comes from or what sources that is. "As far as I'm concerned, the dialogue with the chairman and chief executive is very good and we're all wanting the same thing." While Cardiff struggled, Hull underlined their promotion credentials with a comfortable win. Abel Hernandez's penalty gave the Tigers a deserved half-time lead, with only poor finishing and fine goalkeeping from David Marshall preventing there being any more than Sam Clucas' strike in the second half. The three points propelled the Tigers above Derby and into second, leaving manager Steve Bruce understandably satisfied. "Well, it was certainly comfortable, I wouldn't say it was easy," the Tigers boss said. "Never is any game easy but we were comfortable without being anywhere near our best, if you like. "But it was one of those comfortable evenings where when we got the first goal it became increasingly more comfortable as the night wore on. 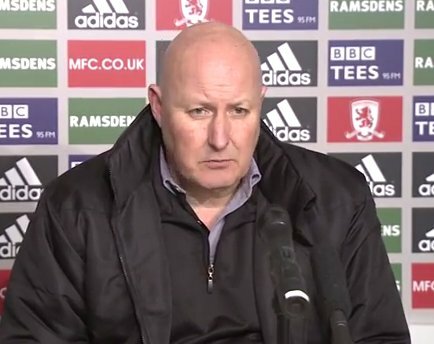 "Really, our Achilles heel is that we've had seven or eight really good chances on Saturday and only took one and we've had six or seven tonight. "Their goalkeeper in the second half produced two world-class saves, but our Achilles heel is we need to be a bit more (clinical) in front of goal and it will be a bit more comfortable for us, even more comfortable than we were tonight."